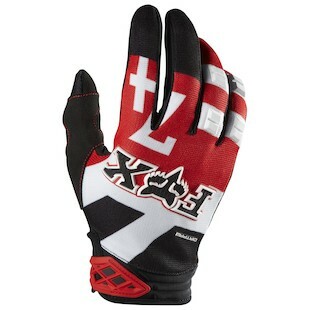 Fox Racing Dirtpaw Gloves: Dirt Decor for your Hands! 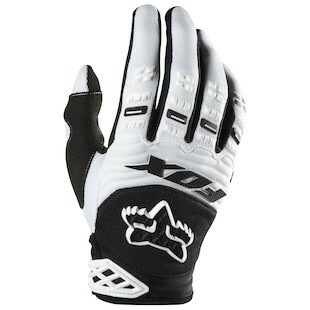 Fox cranked the throttle wide open with some sick new graphics on the Dirtpaw Gloves. They have 4 new awesome colorways to rev up to your collection. First up is the Fox Dirtpaw Anthem with a silicone lever grip so you can work the clutch through those nasty ruts. Everyone knows that the rhythm section can make or break your moto, so the Fox Dirtpaw Race has you covered with a padded clarino palm to keep your hands steady as you skip across the whoops. Looking to go old skool over a big air tabletop while throwing a nac nac? 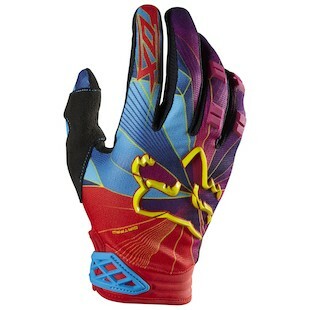 Then the Fox Dirtpaw Rockstar colorway will inspire you to do so with its gnarly graphics and protective padded knuckles. Finally, the Fox Dirtpaw Radeon finishes up the new releases for the Dirtpaw in 2013. With the hook and loop closure, you can be sure they will hold tight while riding a wheelie down a long fire road. 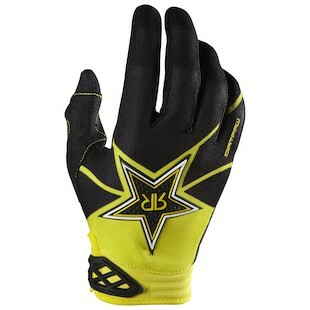 We hope you are as fired up as we are to get our hands in these new gloves and let the clutch fly!